Hi! 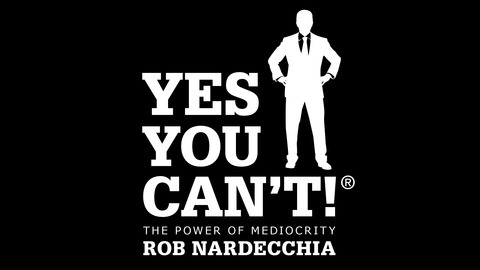 I'm Rob from the Yes You Can't Academy and welcome to Yes You Can't! 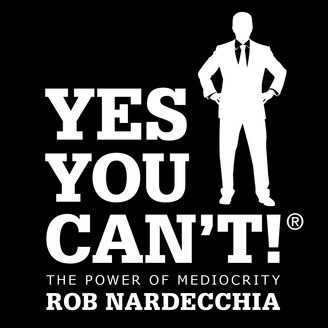 In every episode, I'll share tips on how you can unlock the incredible power of your mediocrity and free yourself from the shackles of self-improvement because potential is the new false hope. Healthy eating is high maintenance, and if there's one thing we need less of in this world, it's drama... Unless we're the ones causing it because our BS is valid. In this week's episode, I'm going to prove why healthy eating is overrated with three obvious reasons. There are way more than three, but I'm lazy, and you have more important things to do like watch Netflix. My name is Rob Nardecchia, and I'm a personal trainer and life enthusiast. My goal is to help you embrace that pesky negative voice in your head so you can remain in your comfort zone, because if everyone was healthy and happy... I'd be unemployed. Remember my friends... Yes. You. Can't! For more content, please visit my website!